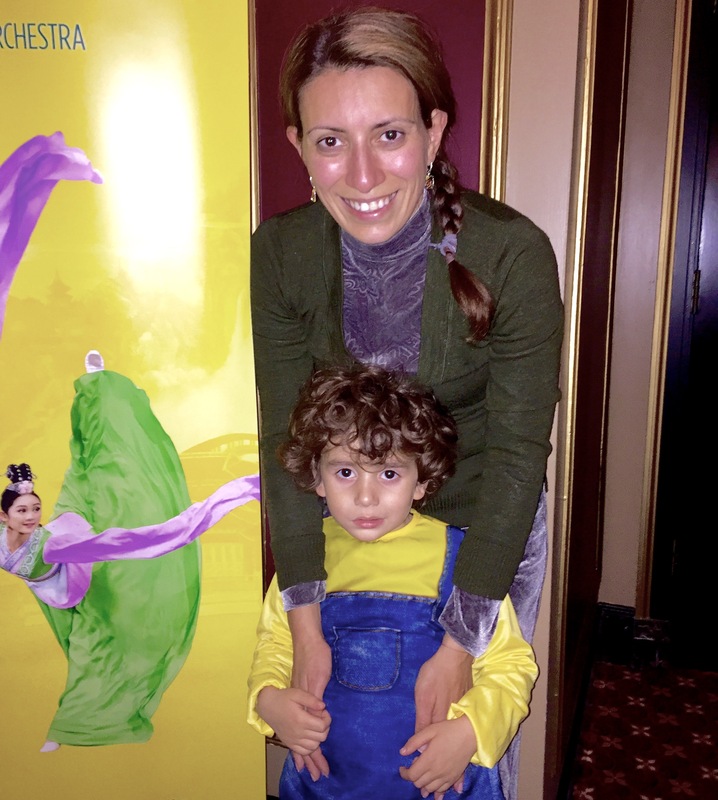 PROVIDENCE, R.I.—Although the only performance of Shen Yun Symphony Orchestra at Veterans Memorial Auditorium in Providence was on Halloween night, Irina Khaykin was determined to find a way to do trick-or-treating with her young son, and see the concert. She didn’t want either of them to miss the opportunity. “I saw the brochure, and I would like to expose him to international, not just the local philharmonic. When I saw that it was on Halloween … I worked out this whole plan just to get him here and I’m so happy it worked out well,” she said. Ms. Khaykin says she’s not a musician and doesn’t even have a musical ear, but her five-year-old son Adam has always gravitated to music. “It was evident even before he was two years old,” she said. She describes how when giving him instructions, he’ll listen one way if she simply says them. “[But] if I sing him the directions, he will listen completely differently,” she said. Earlier this year she had taken him to see violin virtuoso Joshua Bell and he was captivated. After Shen Yun, when asked what he enjoyed most, his answer was clear: “The violin! ‘Cause it’s so beautiful,” said Adam. Violin virtuoso Fiona Zheng had performed Pablo de Sarasate’s “Gypsy Airs,” a piece he wrote to especially show off a violinist’s skill. Shen Yun Symphony Orchestra’s power comes from its unique features, principally that it has perfected the harmonization of classical Western symphonic music with traditional Chinese melodies and instruments—something that’s never been accomplished before. Mesmerized at the Shen Yun concert. “Because it was exactly like that, from the minute we walked in to the end,” she said. 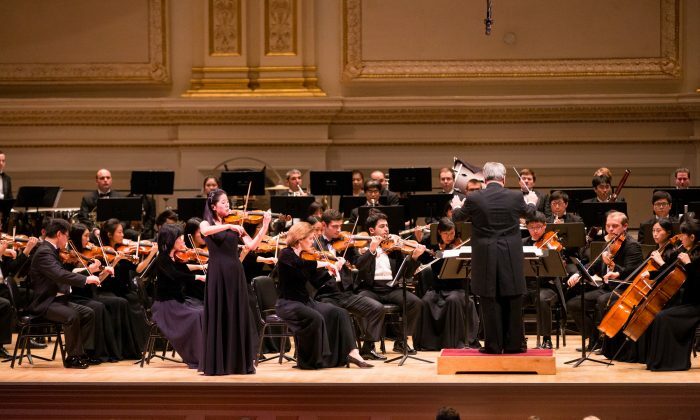 New York-based Shen Yun Symphony Orchestra comprises musicians from the four Shen Yun Performing Arts touring companies. Shen Yun Performing Arts begins its 2016 world tour on Dec. 22, 2015.